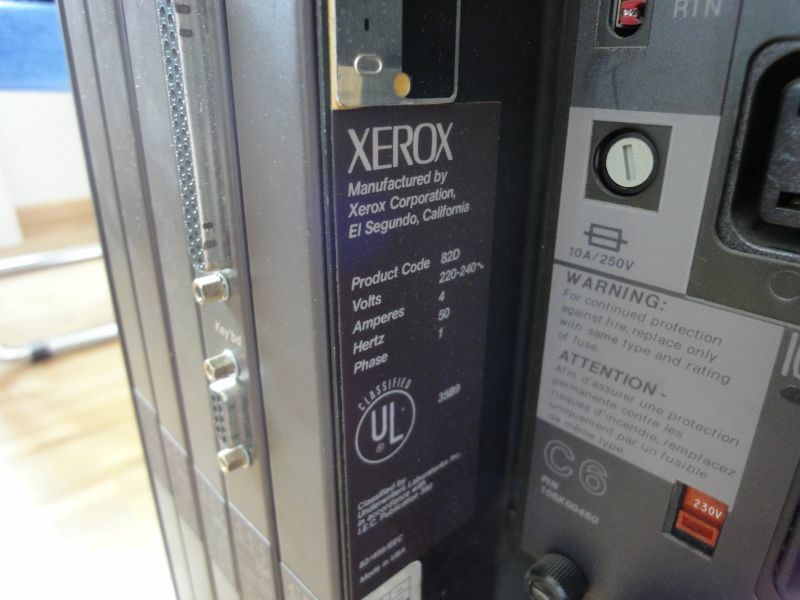 Recently, I could lay my greedy hands on a Xerox workstation (thanks to Daniel who transported it for me from Berlin! ), probably a 6085 (codename Daybreak). Probably means that the case and the components resemble very much to a 6085 or a 1186 (which was a 6085 with Lisp instead of ViewPoint). But, the serial number prefix (or model number) is 82D, and it has an up-to-240V PSU (it came from a (probably German) university). Unfortunately, it has no hard disk, or should I say, hard disk module (there is an empty module slot below the PSU). If somebody owns such a thing, it would be nice to know :-). 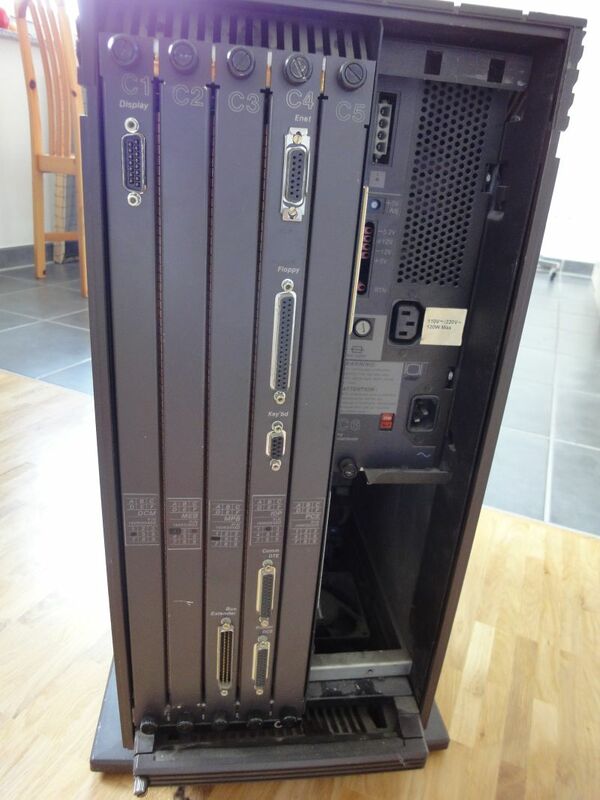 As you can see the serial number is 82D 155 107809 – 0. This is the label. 120-240V, obviously for the international market. Here are the 7 module slots. 5 on the left for large PCBs, 2 on the right, the top most is the PSU, the one below is probably the one for the hard disk module (taking a 5.25 inch hard disk like a St251 and maybe the controller). The 5 modules on the left. 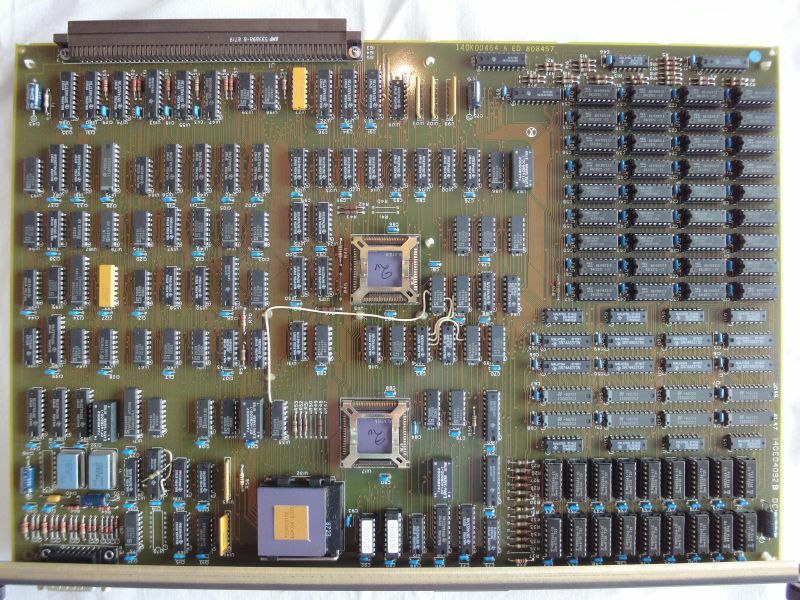 The DCM (Display), MEP (Memory Expansion Board? 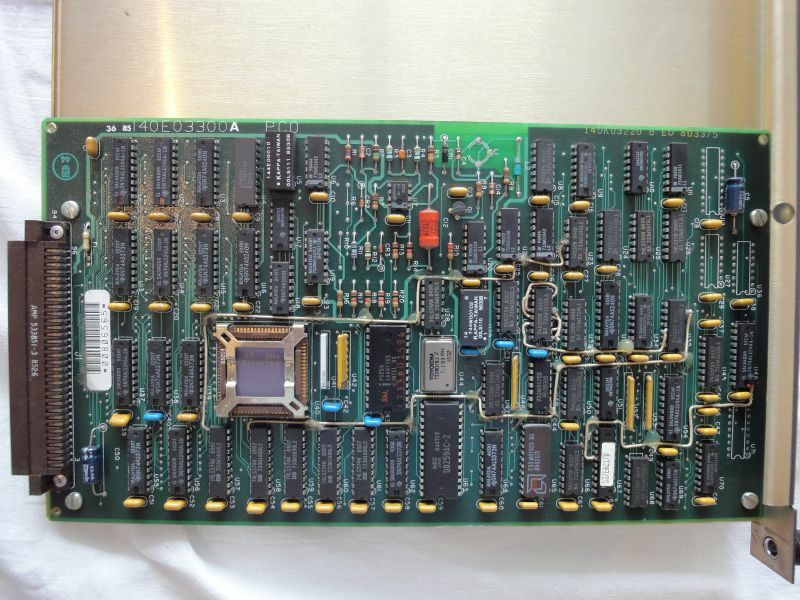 ), MPB (Main Processor Board? 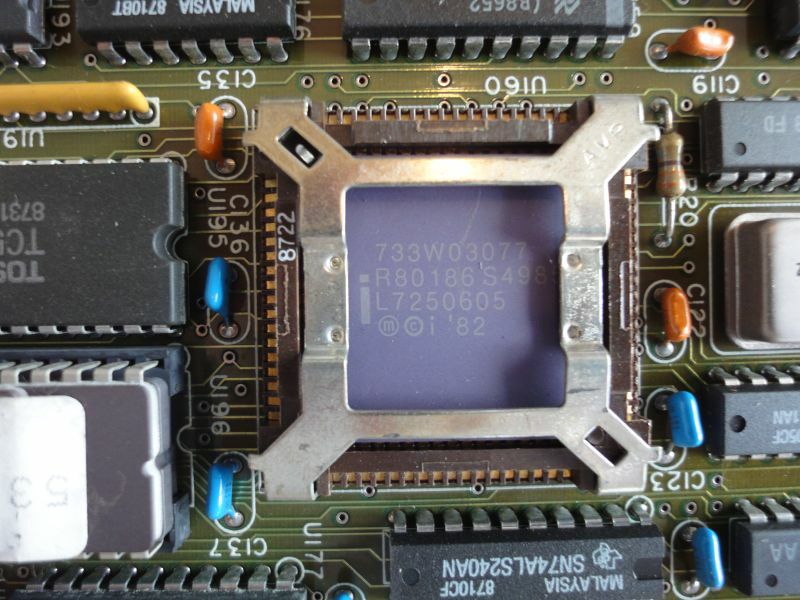 ), IOP (IO Board), and PCE (PC Expansion?). 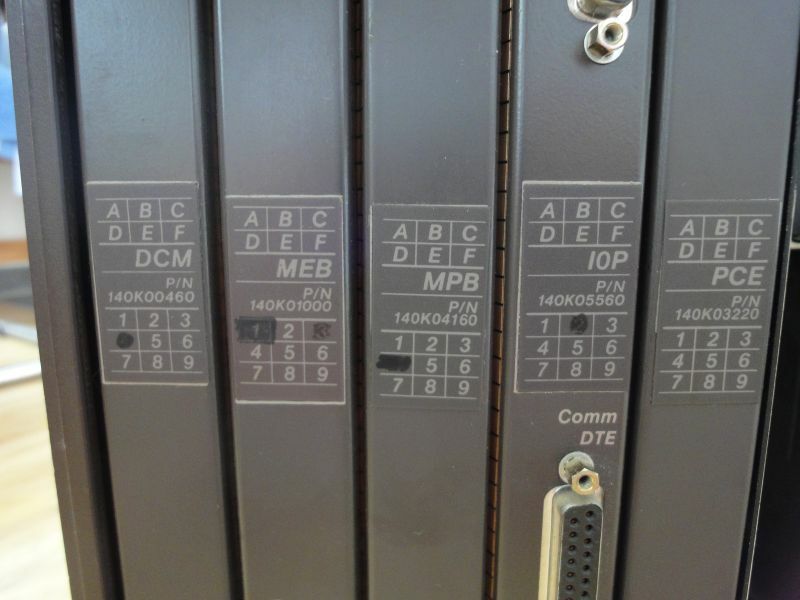 The blackened numbers below the board serial numbers are probably the sizes or options installed (e.g. numbers of MB RAM installed). The modules itself consist of a PCB mounted on a metal sheet that can be inserted into the cage. 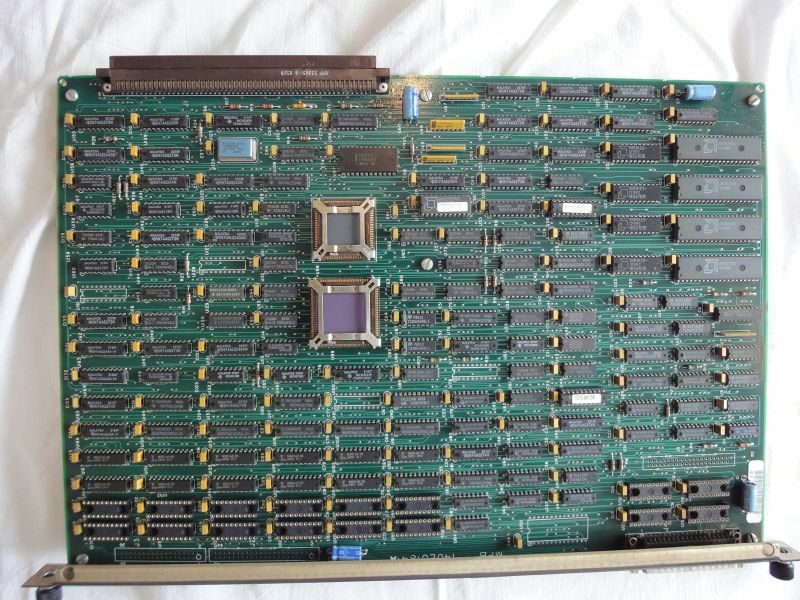 Each board has one or two connectors to a backplane installed in the cage. Let’s have a look on the boards. This is the DCM board. 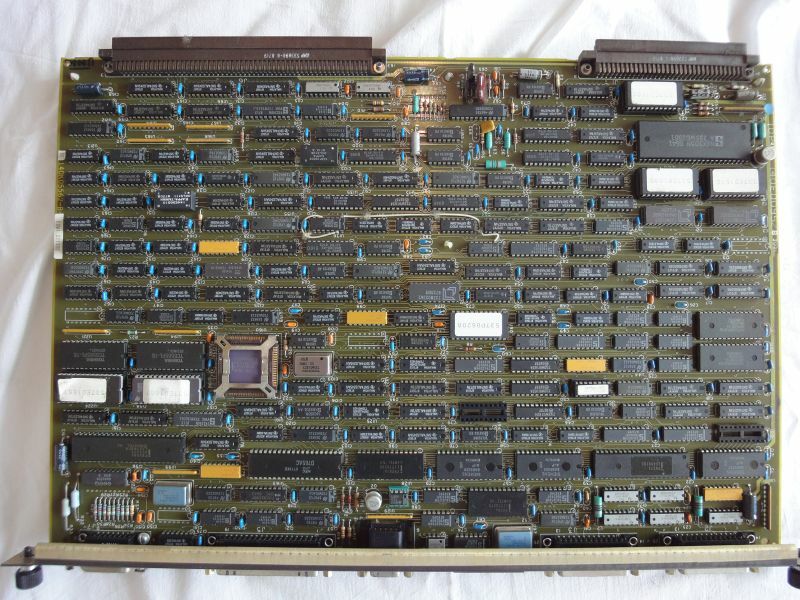 Note the display connector at the bottom and one backplane connector at the top. This is the MEP board. 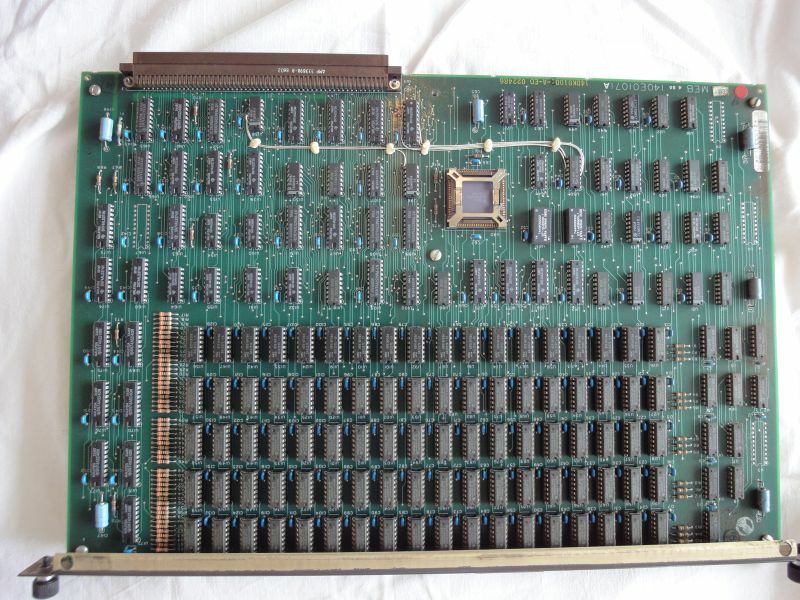 90 256 Kbit nMOS Dynamic RAMs (between 2 and 3 MB). 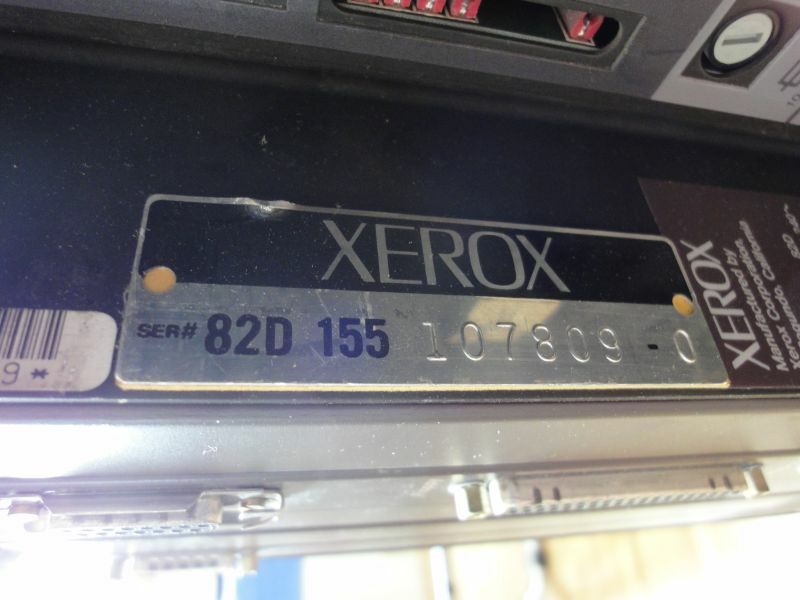 At least the design is not completely TTL-based as in the first D*-machine from Xerox, the Dolphin. 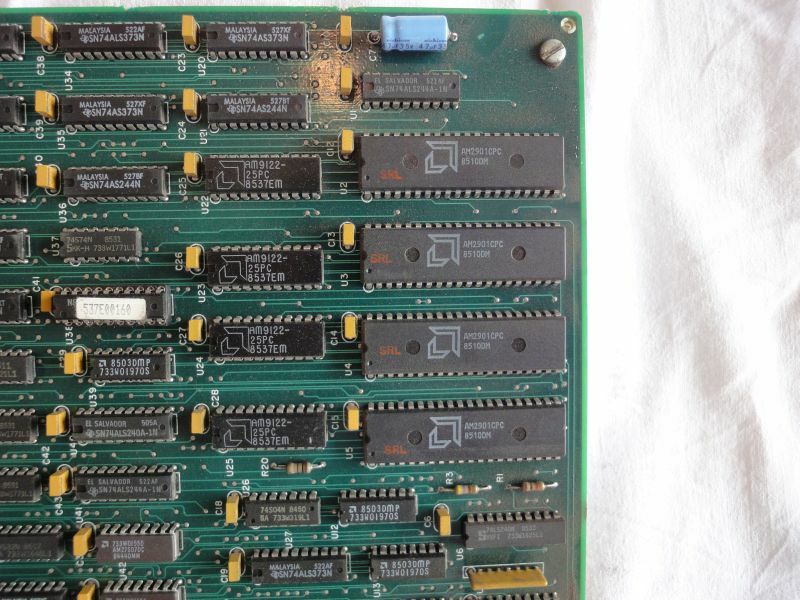 PCE board for the PC emulation (note the tiny board which has a size of only a 1/3 of the others :-). So my next task is to find a hard disk module. Let’s see whether this works out 🙂 Nevertheless, isn’t it cool to own a Xerox 6085?